Every time someone new comes over to my home and sees my Touchscreen for the first time, one of the questions they inevitibly ask is: "What happens if I push on the toilet?". Of course, nothing happened. 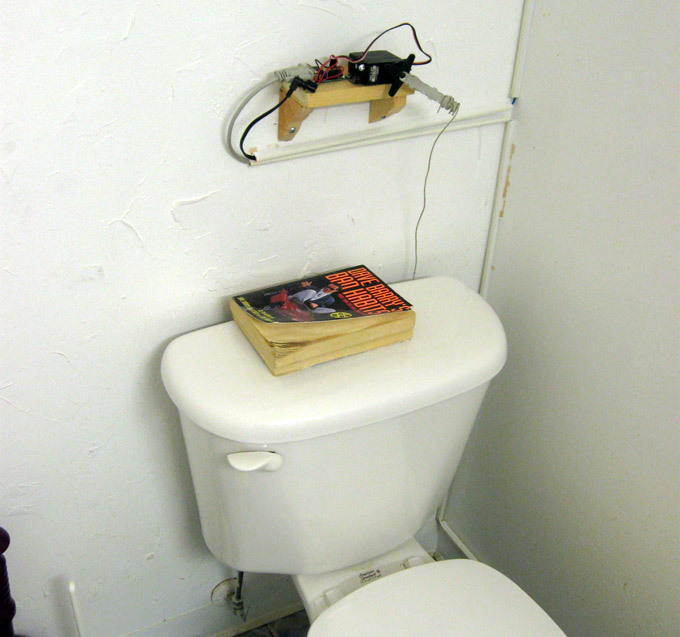 So, partially as a challenge, and partially for fun, I decided to build a motorized, computerized, automatic toilet flusher for my toilet. I used a Pololu 8-servo motor controller and a large servo. 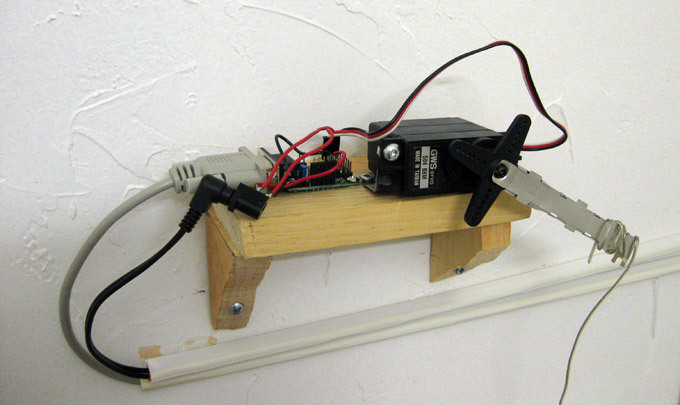 I bolted some scrap pieces of metal to the servo to act as a force arm, and mounted a small, shoddily-built wooden shelf above my toilet. Next, I connected a piece of wire to the stopper valve inside the tank, and ran it out the back, to the servo. Some trial and error with the software, and, hey presto! This project really is just for fun, and doesn't have much practical use. But it was a good experience!